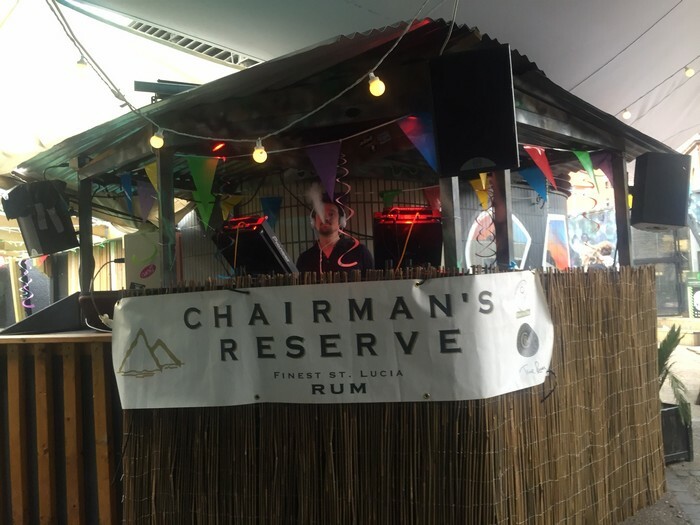 We managed to get our names on the guestlist for the Chairman’s Reserve Mai Tai Competition Party, held at the Magic Roundabout in Old Street. It was our first time there, and the place was literally on top of the tube station, and was a perfect location for this event, as size and layout worked really well. 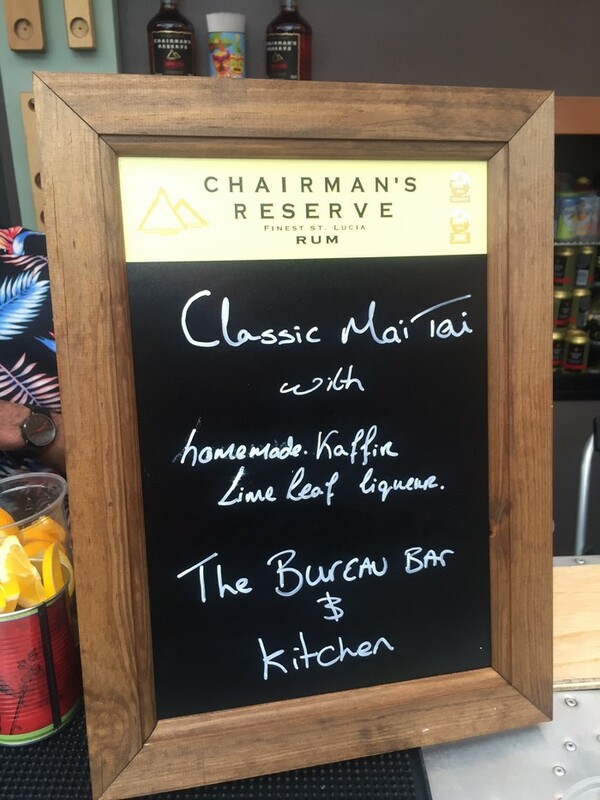 This was the final event in the Chairman’s Mai Tai competition, with four finalists from bars across the country: Mahiki, Trading House London, Alvino’s (Newcastle) and The Bureau (Birmingham). 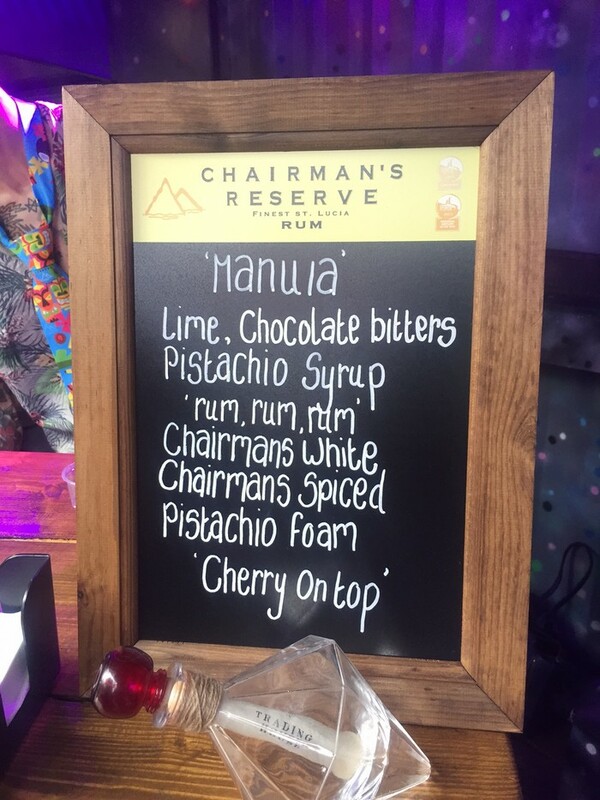 Each had their own pop-up shack serving just their creations, a twist on the classic Mai Tai cocktail using two expressions of Chairman’s Reserve rum from St Lucia Distillers. Everyone attending was given four tokens, one to ‘spend’ at each shack, plus a special golden token to vote for our favourite. 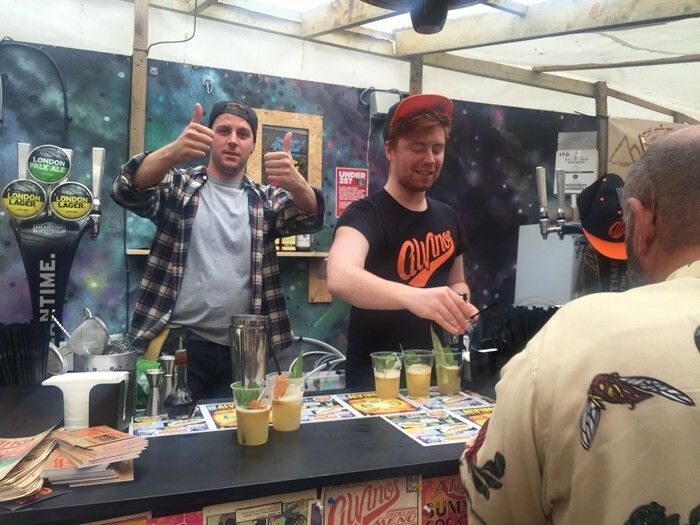 Yes, the winner would be chosen by the rum punters, rather than industry judges. 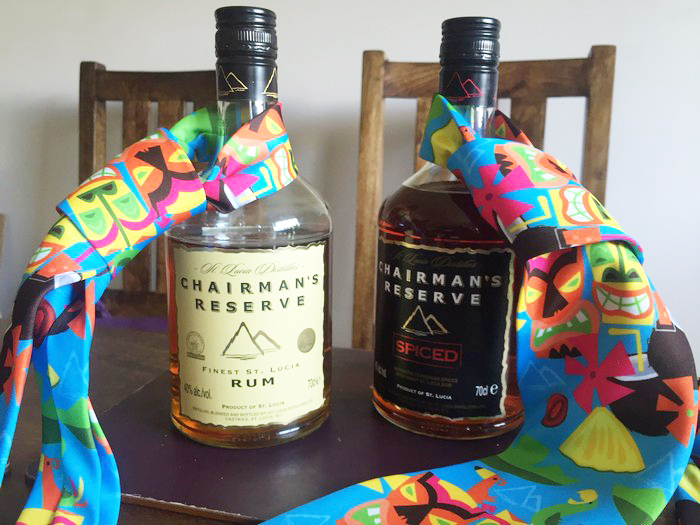 In addition to the token, we were some of the lucky people that the Chairman’s Tiki tie, which we think is really cool. I might wear mine to work. 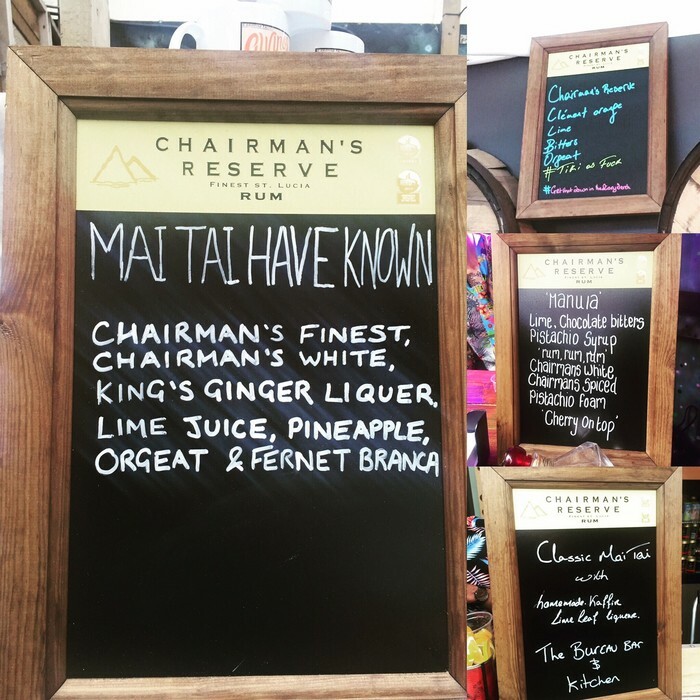 The first Mai Tai we tried was from Trading House London. The drink, “Manuia”, sounded very promising, but unfortunately, we didn’t get the pistachio taste that was promised. The second one was from Alvino’s from Newcastle, which we liked, and thought that the pineapple garnish was a nice touch. The third was from The Bureau Bar from Birmingham: very traditional, but a bit too sweet for our taste. 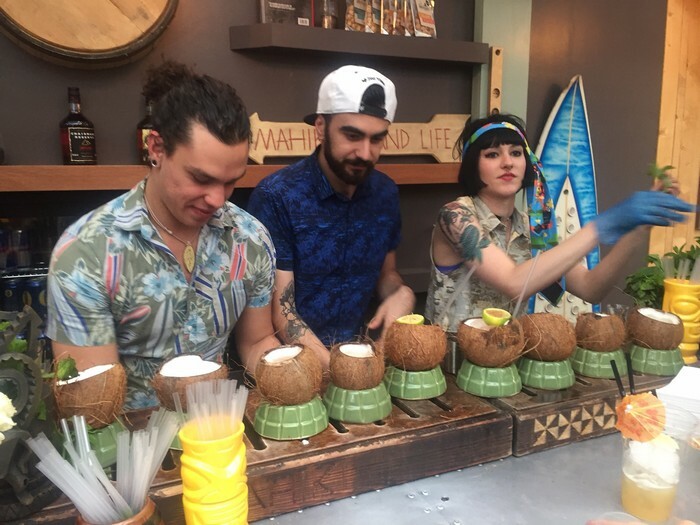 Last but not least was none other than Mahiki from London, who went in on the presentation side, serving theirs in a coconut, which was pretty cool. 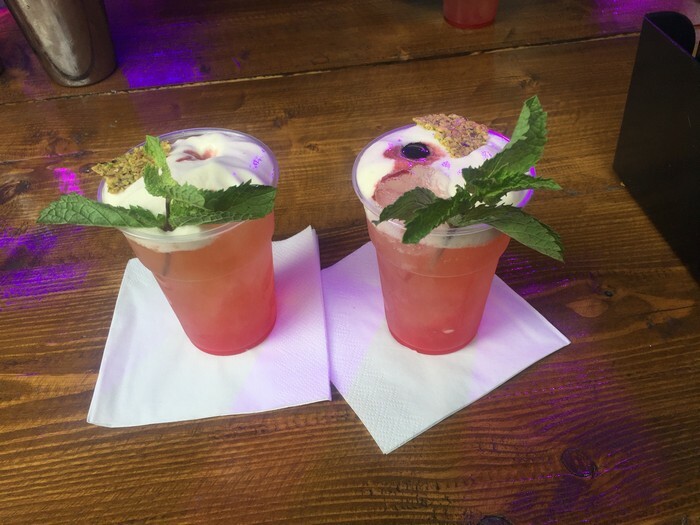 Due to the fact that they are a huge company compared to the other competitors, it felt like they were the Bacardi of the rum bars present and we weren’t sure what to expect for their serve. 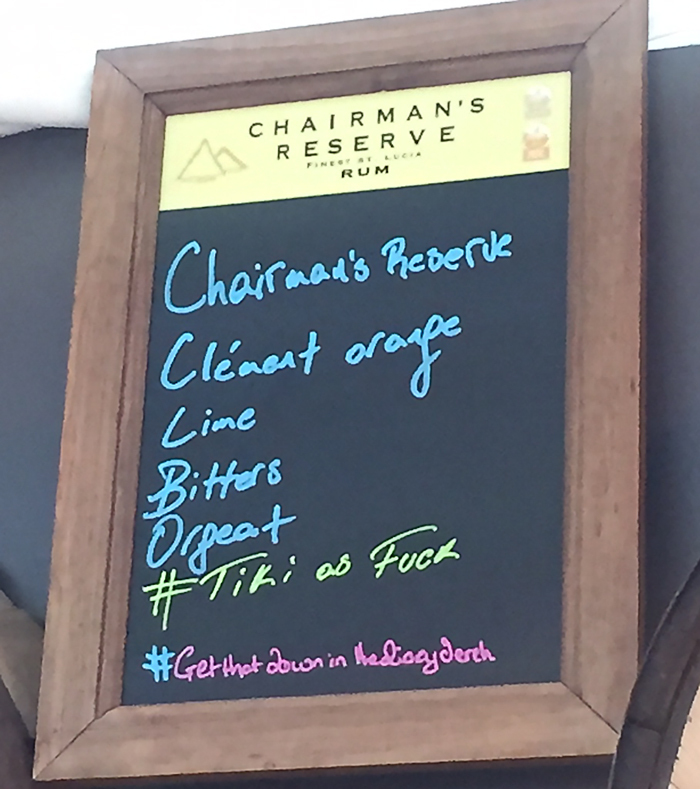 Funnily enough, however, we were pleasantly surprised, and ended up voting for them as being our favourite, as we thought presentation and taste wise, they had the best Mai Tai on the night – Chairman’s, Clément Shrubb, lime, bitters and orgeat. 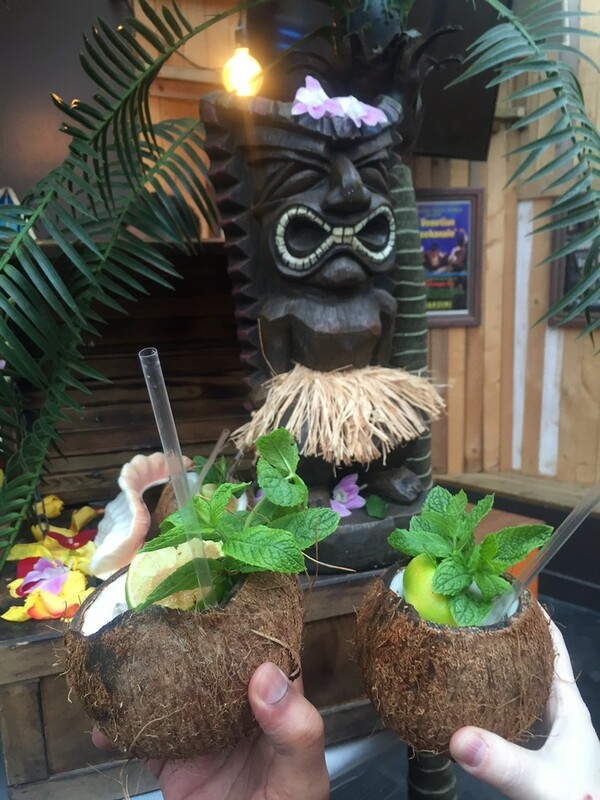 Others thought differently, however, and the winner was Alvino’s, with their “Mai Tai Have Known”, who bagged a holiday to St Lucia! Add all ingredients to shaker, shake with cubed ice, strain into chilled Collins over crushed ice. Mint sprig & Fernet Branca float garnish. 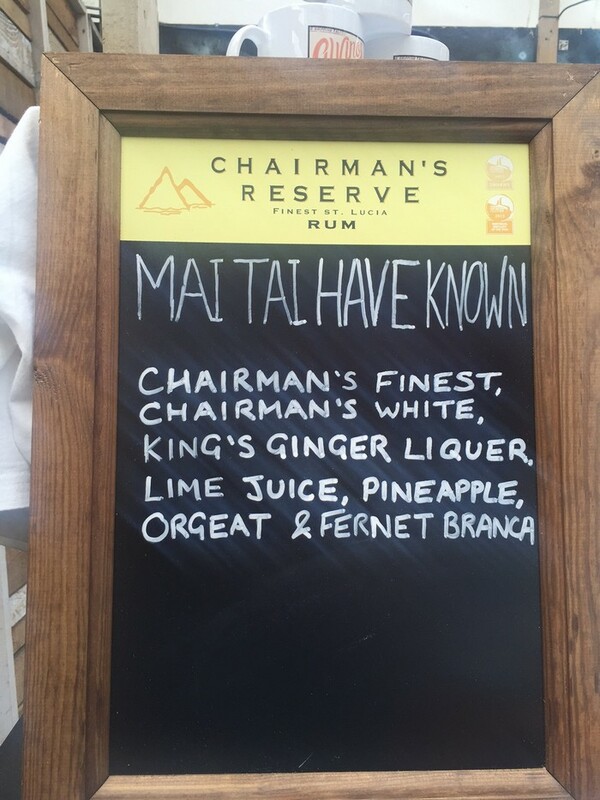 Big up to Chairman’s Reserve and team from organising this great event. We had a great time, and enjoyed some fine Mai Tai cocktails!